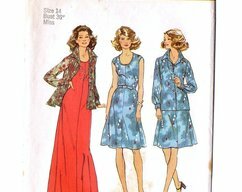 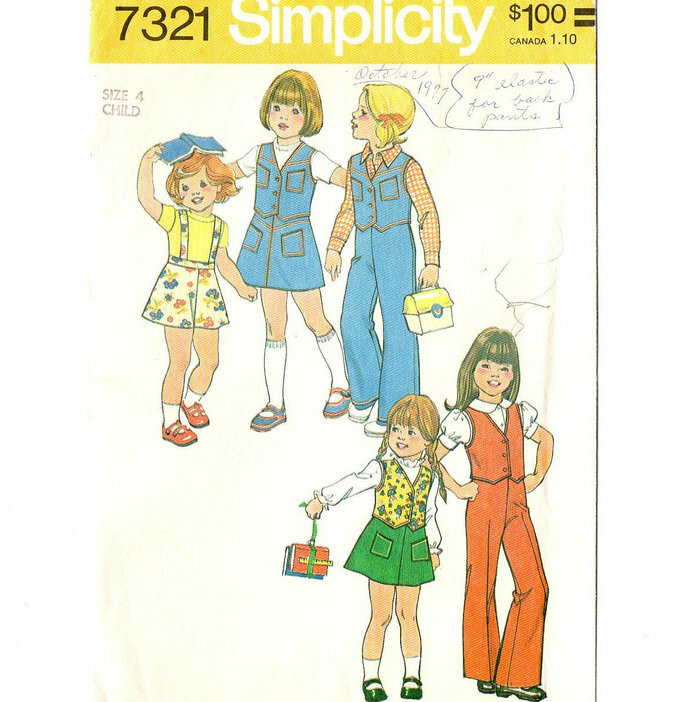 1975 Simplicity 7321 Vintage Sewing Pattern. 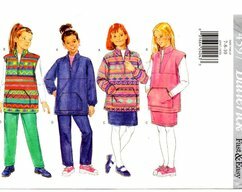 The top-stitched lined vest with front button closing, V shaped neckline and shaped lower edge has optional patch pockets and top-stitching simulating yoke. 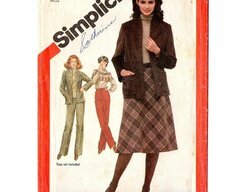 The skirt and pants with detachable suspenders have front waistband and back elastic waistline casing. 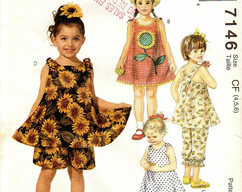 The skirt has optional patch pockets and top-stitching.